In Southern India, the state of Tamil Nadu has a renowned hill station Ooty. During the British rule in India, the city served as the summer retreat. During your visit to the city, riding on the Nilgiri Mountain Railway that traverses across tunnels and bridges is an absolute must. Moreover, the city’s climate is conducive for tea plantations. They are lined alongside the peaceful Emerald Lake and you must make them a part of your sightseeing expeditions during your trip to the city. 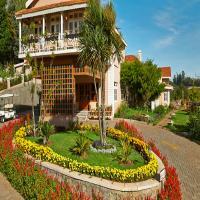 For attractive deals on Ooty hotels for your stay during the trip, browse through Cleartrip. Some tourist sites in Ooty that you simply must visit are Doddabetta peak, Government Rose Garden, Thunder World, Stephen’s Church, Ooty Lake, Avalanche Lake, and Government Botanical Garden. 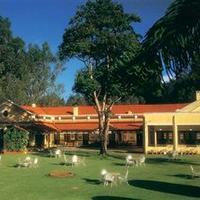 You can book your hotels in Ooty around these attractions for your convenience. All through the year, Ooty has pleasant weather. Yet, the months between April to June are considered to be peak season. A large number of tourists flock to the city during this time of the year. 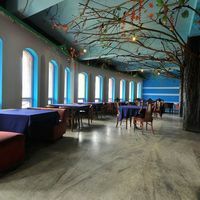 If you are planning on visiting Ooty, then book hotels in Ooty in advance or else, you may have to face disappointment. 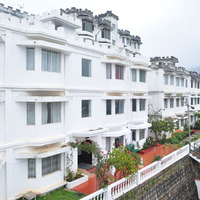 Some popular localities for Ooty hotel bookings are Coonoor Road, Lake Road area, Woodcock Road, Race Course Area, and Charing Cross, and Ettiness Road. Select after checking price, details and reviews. 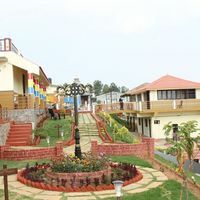 When booking the hotels in Ooty, you have a choice between 5-star, 4-star, and 3-star hotels or resorts, service apartments, guest houses and homestays. Cozy, clean and spacious cottages with peaceful surroundings! The “Queen of hill stations”, Ooty is not only the most famous hill station in the south but also the most beautiful one too. It is located at the height of almost 2800m from the sea level, which makes the view more spectacular for the visitors. The hills, tea gardens, beautiful forests and grasslands make it one of the most popular tourist and honeymoon destination in India. The city keeps one away from the chaos and offers immense peace. 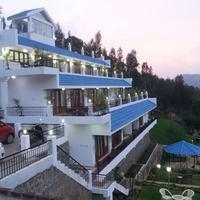 If you are travelling to Ooty then booking a hotel in advance through Cleartrip can be advantageous. 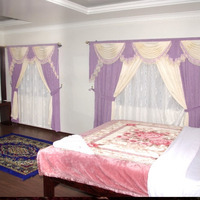 Here you will find all types of hotels like 2-star, 3-star, 5-sta hotels to budget hotels. 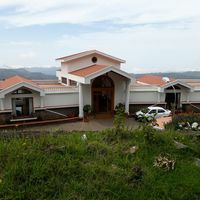 There are other options also available in the city, such as home stays, resorts as well as hotel chains like Club Mahindra, etc. All these hotels and properties offer the top notch amenities to the tourists. Some of the amenities offered by these hotels are room service, AC, Wi-Fi, gym, restaurants, coffee shops, etc. 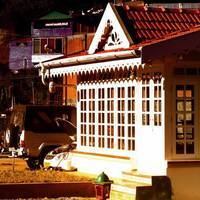 So pack your bags and get ready to explore the beauty of Ooty. 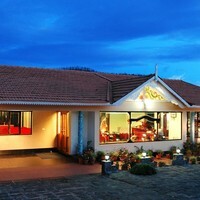 This is the main factor which everyone should consider while booking a hotel in Ooty. There are lots of attractions in the city; hence staying close to such places will offer you an easy access and more fun. Season is again an important factor. One should visit Ooty when the season is just right. If you want to save on hotels visit in off-season. 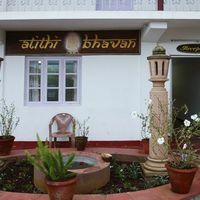 If you are planning a trip during the peak season then try to book your accommodation in advance. 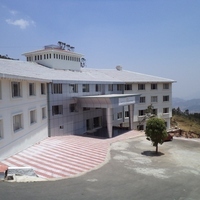 Like every other city, Ooty also has both high-end hotels and budget hotels for the stay. However, it’s you who need to decide how much you want to spend. Use the price filter on Cleartrip and find suitable hotels. f you are looking for a luxury stay, check out the online travel site Cleartrip to find the right accommodation and book accordingly. Botanical garden is one of the major attractions of the city. Hence people are more interested in staying near the area. Apart from this reason, botanical gardens offer an amazing view to those who stay nearby which not only make them smile but also fulfils the purpose of their visit, as they see the real beauty throughout their stay. You will be surprised to know that the rose garden in the city has received a Garden of Excellence Award in the year 2006 in Japan for being the most beautiful and unique Rose garden in the whole South Asia. Hence staying near this beauty is a pleasure for every visitor. 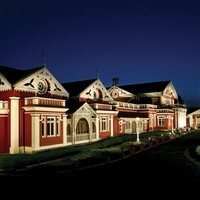 Ooty club is counted among the finest golf courses in the world. The club is not only huge but also quite a sight for the eyes. The nearby area is complementing to the club. So staying in and around the area will allow the visitors to take part in other extra-curricular activities at club. 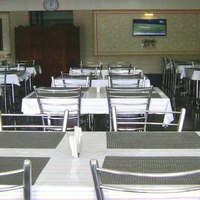 The area near Railway Station always offers a reasonable and comfortable stay for the visitors. 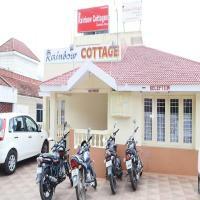 So if your budget is limited then getting a hotel in Ooty near railway station is appropriate. There are almost 130 hotels in the city, which vary in terms of rating, amenities and prices. However, the smart move is to book in advance through sites like Cleartrip in order to get the best deals. 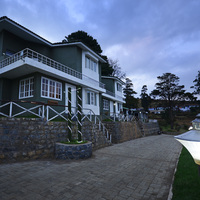 The prices of hotels in Ooty vary from season to season. Peak season costs more than the regular one. 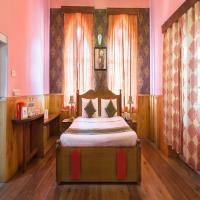 However, the price starts from 936 INR and goes up to 10112 INR per night for two guests. Ooty itself does not have any airport. So, the tourists who want to travel via air will have to land at the nearest airport in Coimbatore, which is approximately 100 km from the city. The railway station in the city is connected to Coimbatore, Bangalore as well as Chennai. The city is well-connected with many parts of the country through road so visiting the city by road is also convenient. From Bangalore, you can reach Ooty in just 6 hours. 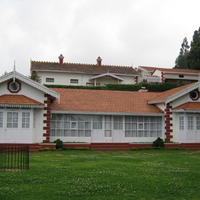 Botanical garden is at the lowest slopes of highest peak of Ooty i.e. Dodabetta Peak. It established in the year 1989 to store the artefacts and tribal articles. A gorgeous waterfall at the height of 122 m, it is almost 13 km from the city. his Roman Catholic shrine is also famously known as the “Jerusalem of the East.” The Catholics from the Nilgiri area call it “Calvary of Tamil Nadu”. Rose garden is an amazing example of the beauty of the city. Ooty is normally recognised for its recreational activities. From sports to adventure activities, everything is the part of the culture here. Natural oils, different flavour tea packets, textile and handicrafts are some of the items which are quite popular here. You can also buy souvenirs from the city markets. Flavoured tea and handmade chocolates are the specialities of the city. These two items are something, which you should not forget to taste during your visit. Yet one more beautiful hill station in the Nilgiri region. It is at a distance of about 19 km from the city. 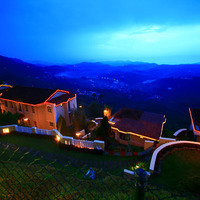 Located at a distance of approx 14 from Ooty, it is an ultimate vacation spot to chill and relax. Waterfalls, caves, dams, lakes, etc. are some of the examples of attractions filled in the city. It is about 110 km away from the city. “Manchester of South India” is also about 87 km away from Ooty. 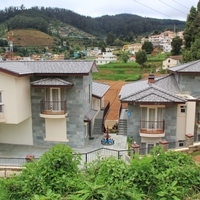 Ooty has a subtropical highland climate. Summers here are pleasant with an average temperature of 22 degree Celsius. The winter season starts in October and lasts till February when the average temperature stays around 18 degree Celsius. In January and February, it may dip below 5 degree Celsius. October is the wettest month of the year when it receives rain with an average precipitation around 200mm. Even though this is summer time, yet it is the best time to visit Ooty as weather is nice. This is the monsoon season. However, nature looks best after rain. Not a peak season so you can get good deals. October is nice and chilly. November onwards it gets cold. January and February are really cold. So you can plan a trip in early winters. Your one and only chance to enjoy the amazing flavours of tea in the year is during the month of January or February when the Tea and tourism festival is organised in the city. Every year in the month of May botanical garden is frequented by people from all over the world. People flock to the place to enjoy the summer festival.